IT professional (and Arduino cap fan) John Milner had a minor problem. 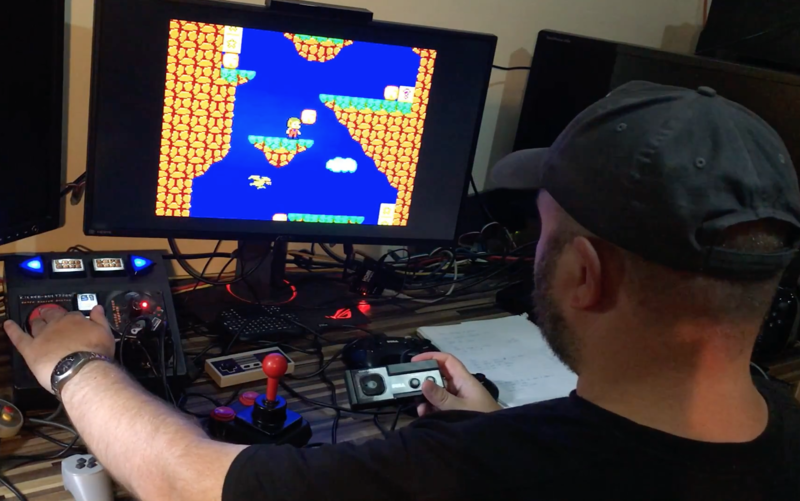 While his retro gaming setup could emulate a wide variety of systems and games, it was still missing the tactile feedback of the original controllers. Rather than “submit” to playing with only an Xbox 360 controller, he developed the Multijoy Retro Gaming System that can change gamepads with the turn of a knob using an Arduino Micro. The resulting system lets him not only choose the original controller for each game, but if you want to mix things up and see how Super Mario Bros. would feel on a PlayStation 1, or even a Genesis controller, you can do that too! It also features shortcut buttons on the new console. The Arduino presents itself as two joypads with native plug-and-play support for Microsoft Windows 7+ and Linux/RetroPie. The selector is simply a ring of LEDs with a potentiometer in the center, using the knob will move the lit LED to the desired controller pictured in that position, a simple system with an unexpected bonus of being a little retro in its appearance. You can check it out in the video below, and see more of the project on his blog and on GitHub. Head to head video game action can’t even compare to this use of a coin-op Sega Rally game to race actual RC vehicles. Take a close look at those screens and you’ll see there are no computer graphics, just a feed for a camera on each of the toy cars. The project was conceived for the Sapo Codebits VI conference in Portugal. 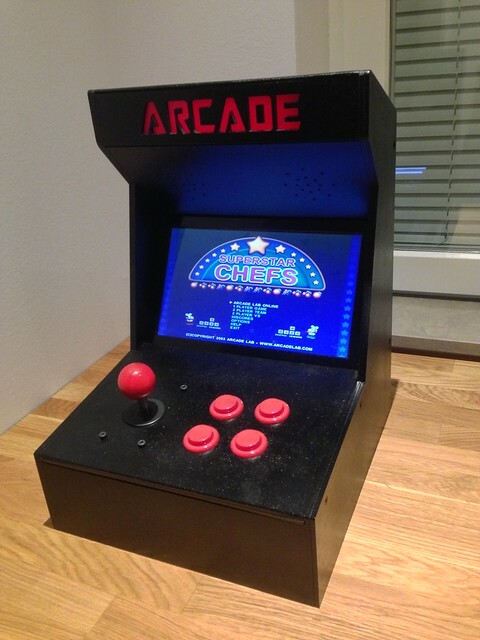 The arcade cabinets had their controls connected to an Arduino, but getting video up and running wasn’t nearly as easy. After fruitless attempts to get the original CRTs to work the team ended up replacing them with functioning CRT units of the same size. The cars themselves have two camera, one on top of the vehicle’s cab and one mounted on a boom for a perspective that was above and behind the vehicle. The drivers can switch between either view. The cars were set loose in the room serving as the event’s retro gaming area and players were free to race each other wherever they pleased. Don’t miss the video clip after the break which shows off all of the fun. [Timothy], a 15 years old Arduino enthusiast has sent us his first Arduino Project, an arcade interface based on Arduino Leonardo. The cabinet is made of 4mm HDF and were laser cut at “Fabriken” in Malmö. The red arcade sign in the top is produced in 5mm translucent acrylic. All design and construction drawings were made in Illustrator. I used an Arduino Leonardo to connect the joystick, buttons and the LED light. The game installed, Superstar Chefs, is an old game developed by my dad’s cousins. My prototype board was made with Fritzing. - 4 pushbutton and header sockets. I created this prototype board to easily get started with Arduino.